In the metropolitan area of Columbus, OH, the headquarters of one of the major manufacturers of objects for decoration has become a touristic attraction. Longaberger is the leading manufacturer of baskets for all kinds of uses in the U.S, and the building where it’s headquartered attracts hoards of tourists from different parts of the world that come visit the basket shaped monument that was imagined by the company’s founder Dave Longaberger still in 1973, and then built in 1997. With 7 floors, the Longaberger building has the shape of their best selling model enlarged about 160 times. 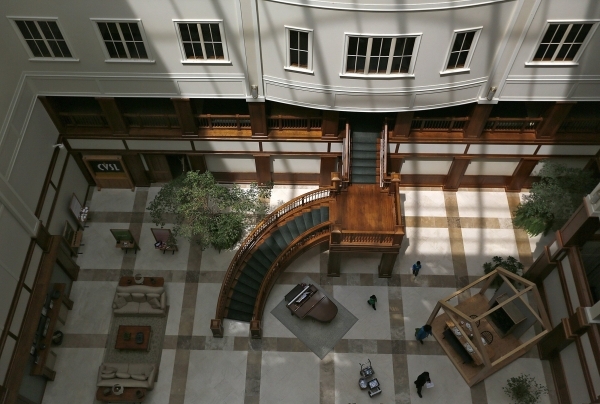 It received the Build Ohio Award, due to the drywall solution adopted in the construction. The building has a steel frame, covered with stucco, while the interior is rich in detail. In the marble covered lobby an amazing staircase was built. Most of the wood resulting from the carpentry used, was gathered on the premises of the Longaberger Country Club, in Hannover, then prepared, sawed and molded at one of the company’s workshop, and then put together by their construction division. Despite its unique look from the outside, on the inside it looks just like an average office building. In February 2016, the building was put on sale, and the company has already transferred most of the employees to a manufacturing unit in Frazeysburg, also in Ohio. It's It’s unknown what will happen to the building , since it’s easy to understand that it’s no piece of pie selling such a unique property. 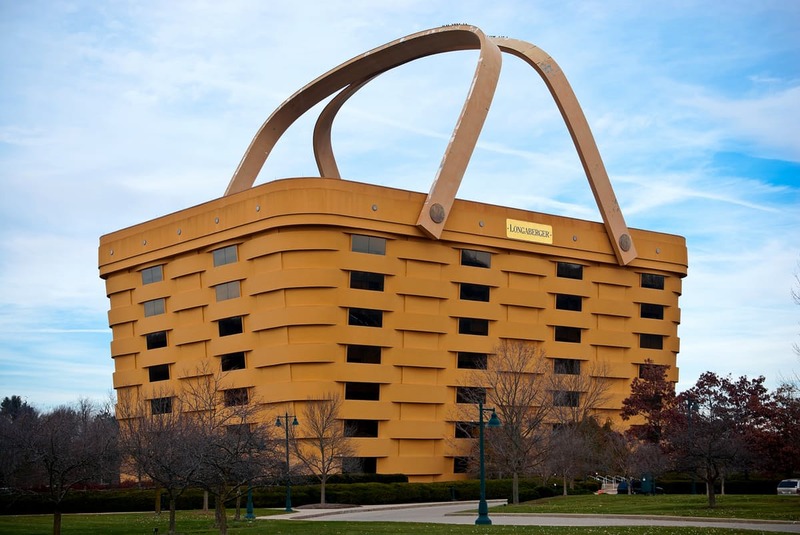 The Big Basket cost $30 million to be built, and what anyone would do with it is still an incognita, since taking off the handle and refacing the building isn’t economically viable. It’d be really hard for any real estate agent to justify the ROI. Didn't you get curious to visit one of the most unconventional buildings in the world?